For the first time ever, my husband and I joined a gym. For years, we worked out at home. Sometimes together, many times alone. The together workouts were fun, except when he became Mr. Know-it-all, with all the added workout advice. Men! What has always been great is that we both love to be healthy and enjoy the benefits & results that exercise can give you. 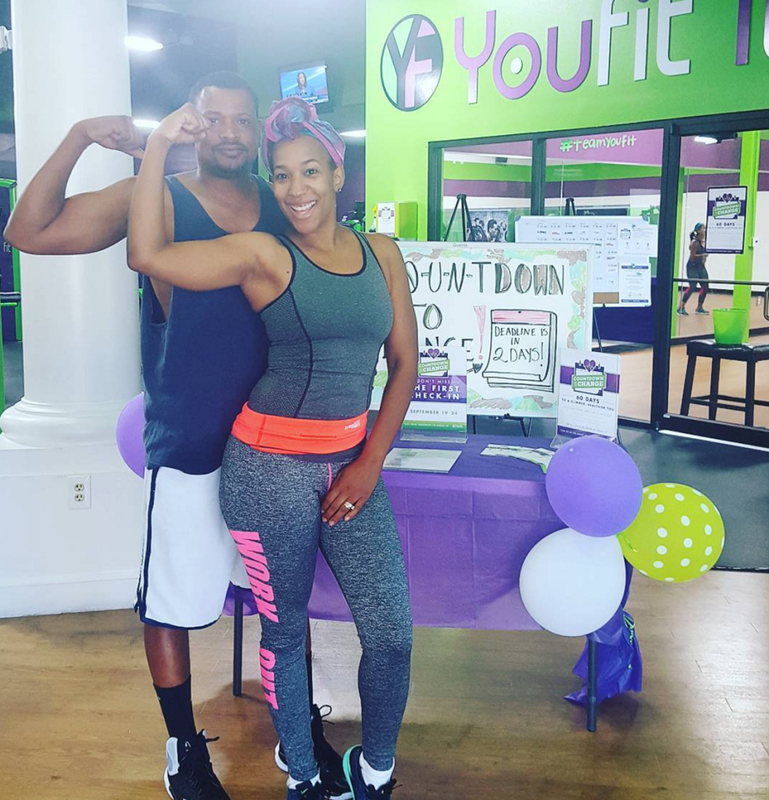 I joined YouFit earlier this month & with my Lime Membership, I get to bring my husband with me every time I come. 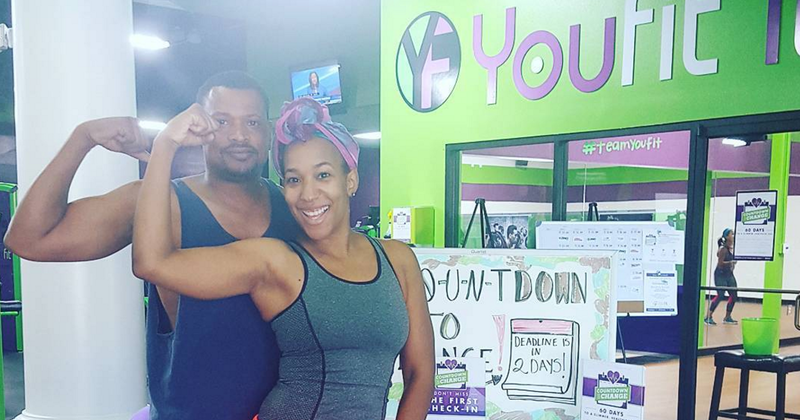 Recently, in addition to working out to stay fit – we joined the YouFit Countdown to Change Challenge – 60 Days to a Slimmer, Healthier You. Complimentary weekly bootcamp classes by the YouCoach Personal Training team. Emails with exercise tips, healthy suggestions and exclusive challenge content. So, how do you win? Members with the highest % of weight loss wins! This is the thing, my goal is to gain 5-7 pounds of muscle. So, I am wondering can I win? The great thing is, there are also individual winners at each gym. This means that I can still win at my local gym & my body will still be transformed so, it’s a win-win! This past Friday, my husband and I weighted in. We do our midway check-in the 3rd week in October & final check in November 21st. Check back with me as we go hard in this challenge the next 2 months. Friday after the weigh in, we stayed and worked out. I did some legs lifts with weights & had did a similar exercise the day before in a body sculpting class. 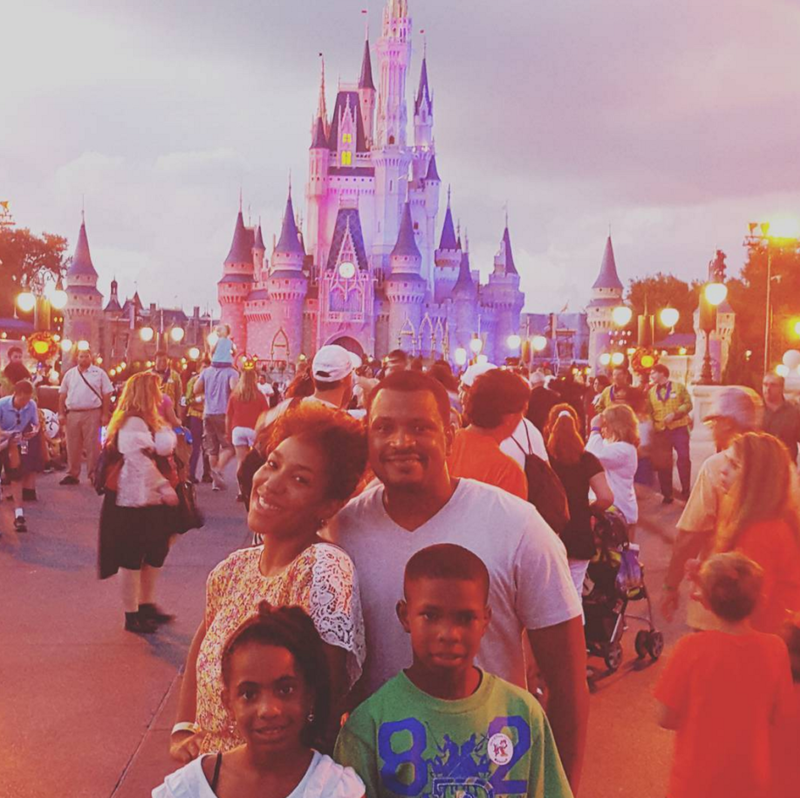 Well, Friday night we went to Disney’s Magic Kingdom and walked, walked & did more walking. My legs started to hurt towards the end of the night and I felt a leg cramp coming on. What was different, is that the tingly feeling was coming from the front of my leg. Shortly after we got in our vehicle, I got a leg cramp in the FRONT of both of my legs at the same time. Talk about SCREAMING FOR HELP!! I had never experienced such pain! I told my husband to take me to the hospital. He didn’t. He kept driving and said, “Drink some water now & when we get home, drink a spoonful of Apple Cider Vinegar!” Uuugggh MEN! He did rub my legs later. My Lesson: STRETCH GOOD & don’t walk at Disney after doing left lifts two days in a row! Take a look at YouFit and see if you live near one. It’s a great gym with affordable plans and NO CONTRACT. That’s what sold me! If you’re already in the challenge or would like to see how others are participating, follow the #YFCountdown on social media.